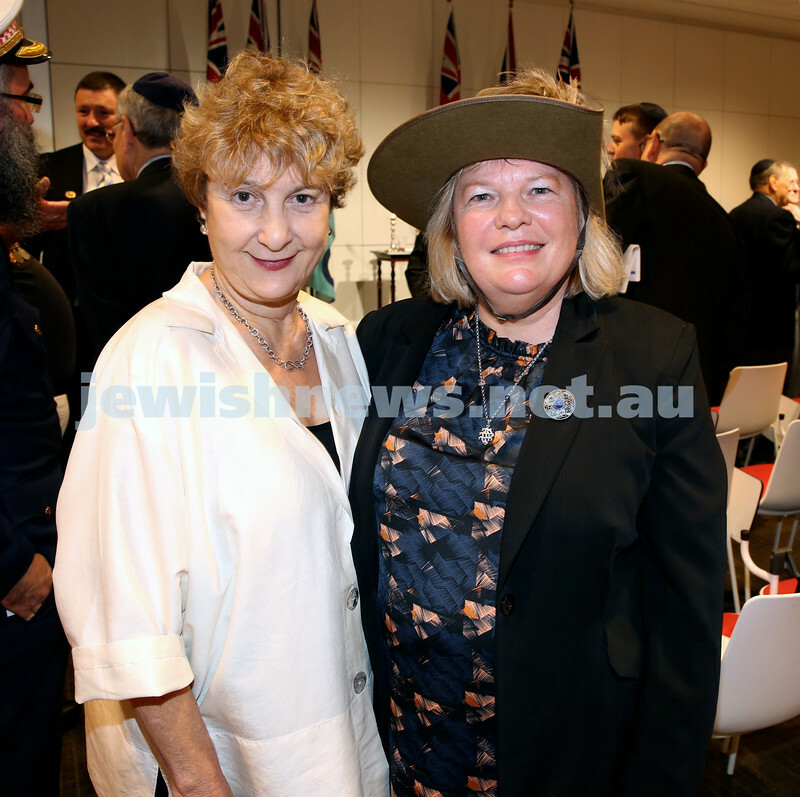 NAJEX ANZAC Day Ceremony at The SJM. 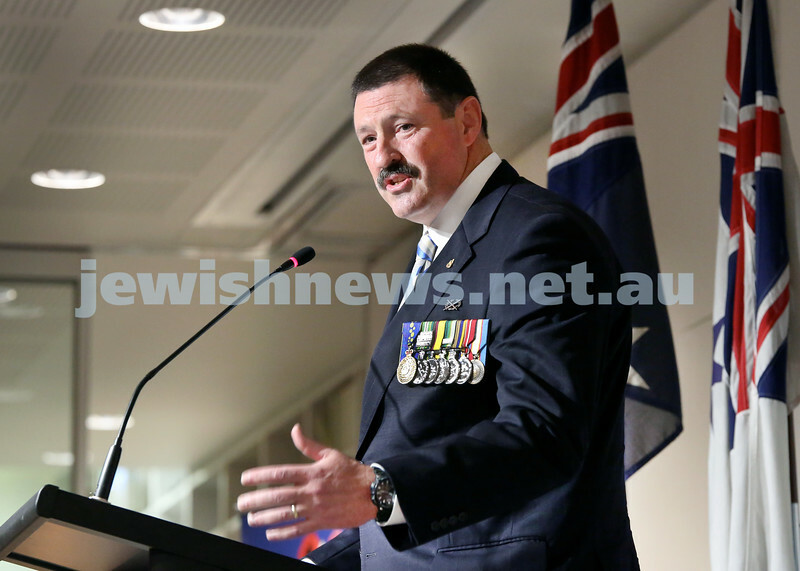 Guest speaker Colonel Michael Kelly AM (Retd). Pic Noel Kessel. 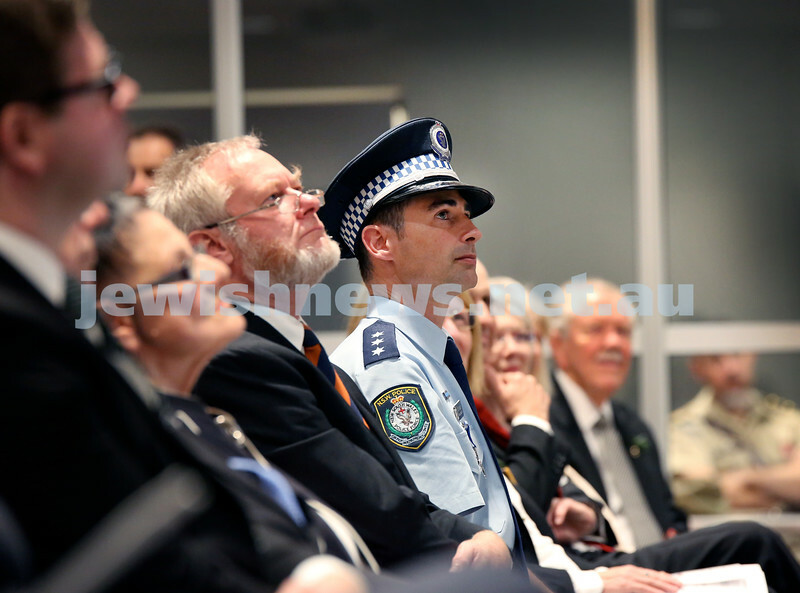 NAJEX ANZAC Day Ceremony at The SJM. Guest speaker Colonel Michael Kelly. Pic Noel Kessel. 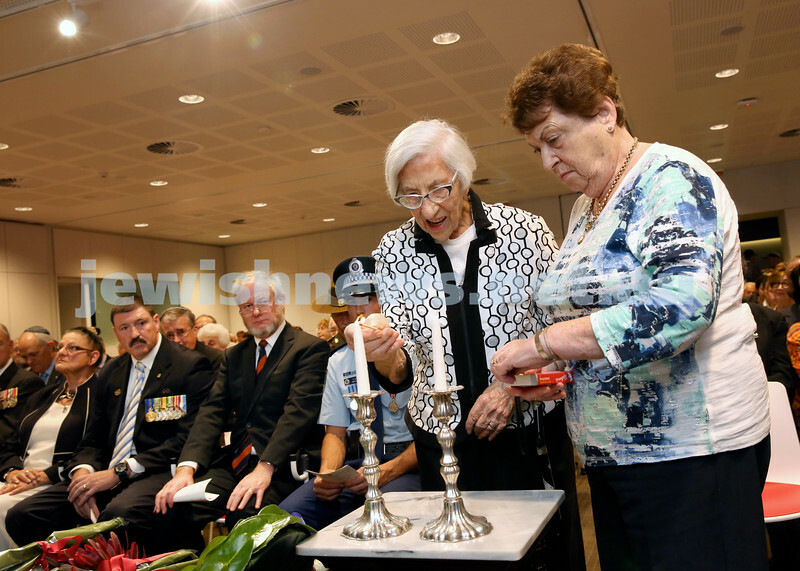 NAJEX ANZAC Day Ceremony at The SJM. Wreath Laying - Colonel Darcy Rawlinson & Commander Rebecca Jesscoat. Pic Noel Kessel. 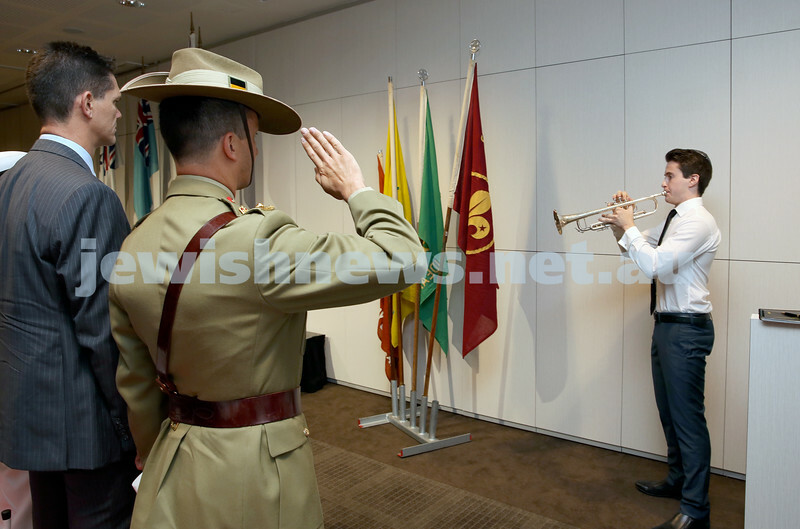 NAJEX ANZAC Day Ceremony at The SJM. 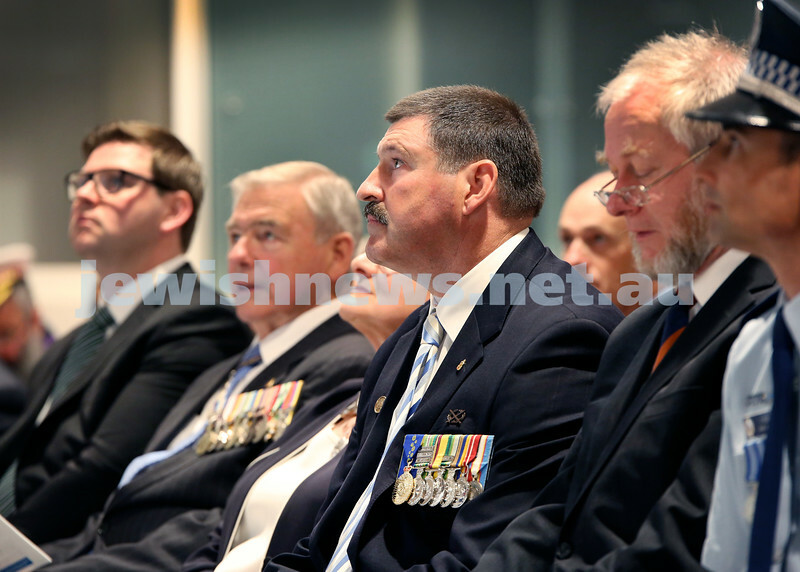 Guest Speaker Colonel Michael Kelly AM (Retd) in middle. Pic Noel Kessel. 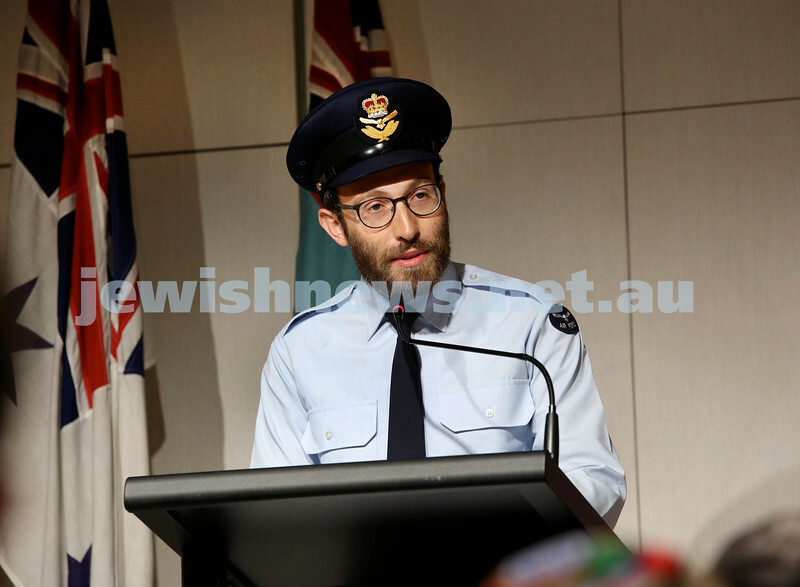 NAJEX ANZAC Day Ceremony at The SJM. Pic Noel Kessel. 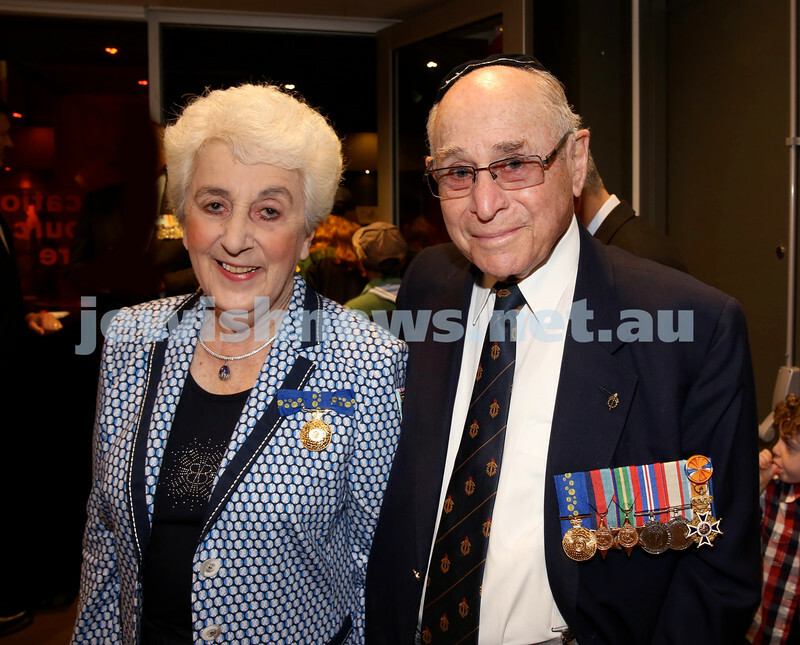 NAJEX ANZAC Day Ceremony at The SJM. Rabbi Dovid Slavin. Pic Noel Kessel. 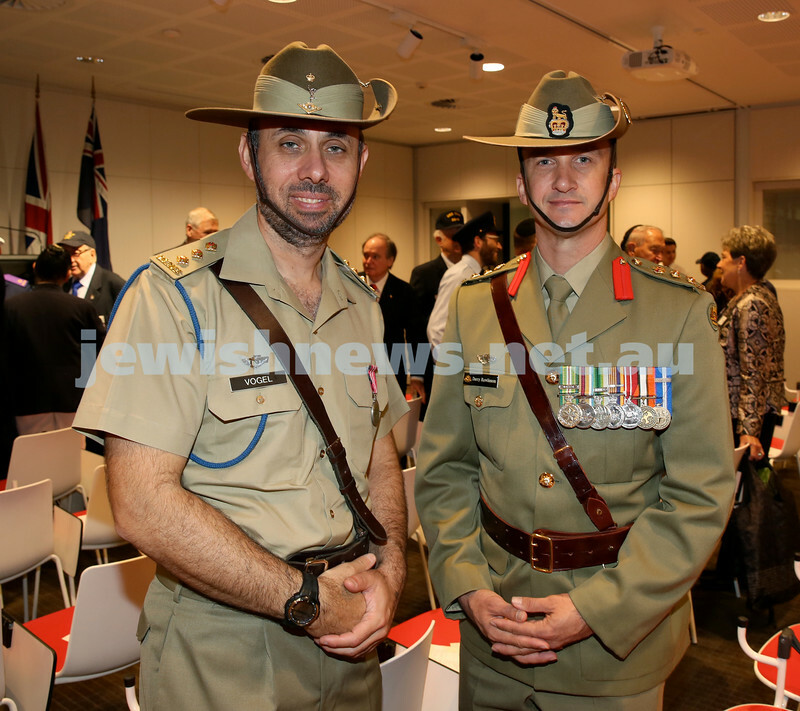 NAJEX ANZAC Day Ceremony at The SJM. Rabbi Jeffrey Kamins. Pic Noel Kessel. 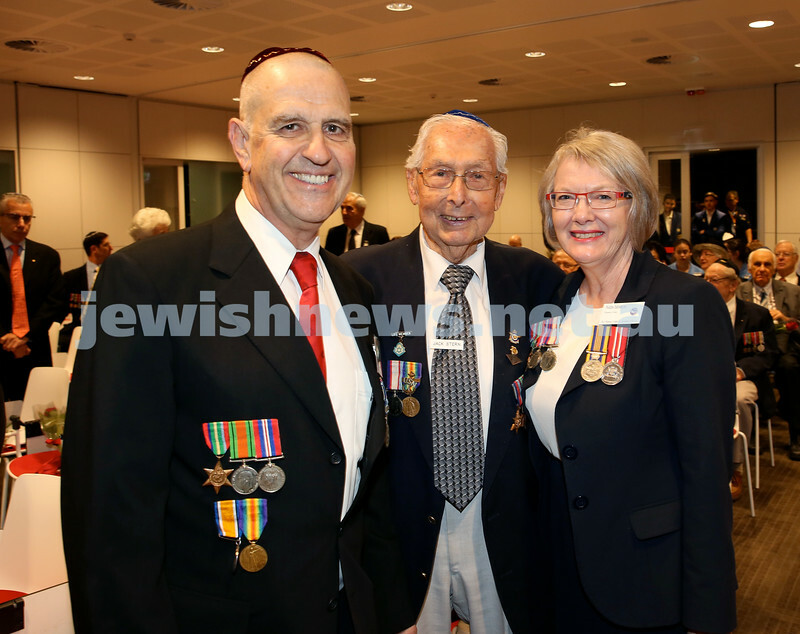 NAJEX ANZAC Day Ceremony at The SJM. Rabbi Yossi Friedman. Pic Noel Kessel. 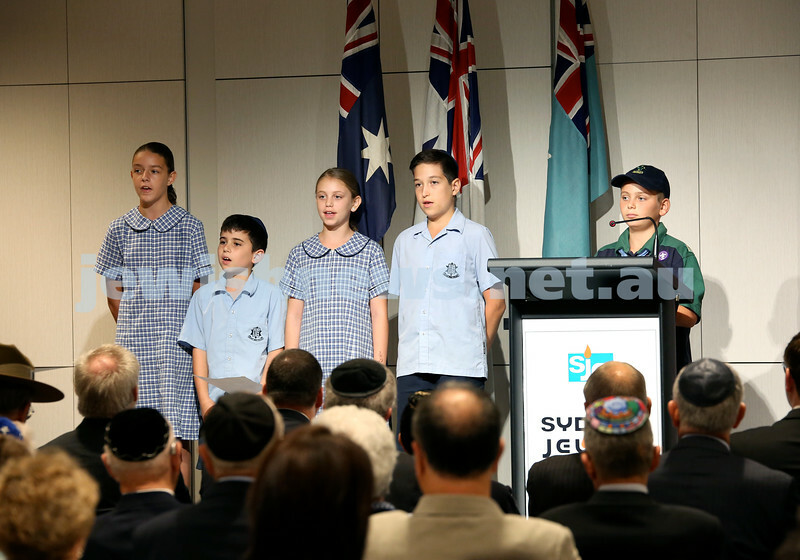 NAJEX ANZAC Day Ceremony at The SJM. Yvonne Abadee & Pat Robey light Memorial Candles. Pic Noel Kessel. 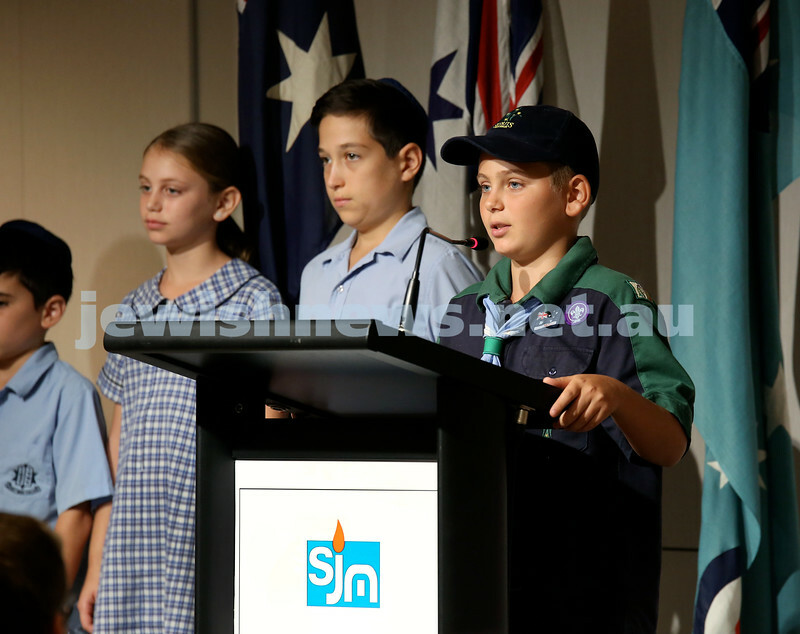 NAJEX ANZAC Day Ceremony at The SJM. Police Inspector Danny Davie. Pic Noel Kessel. 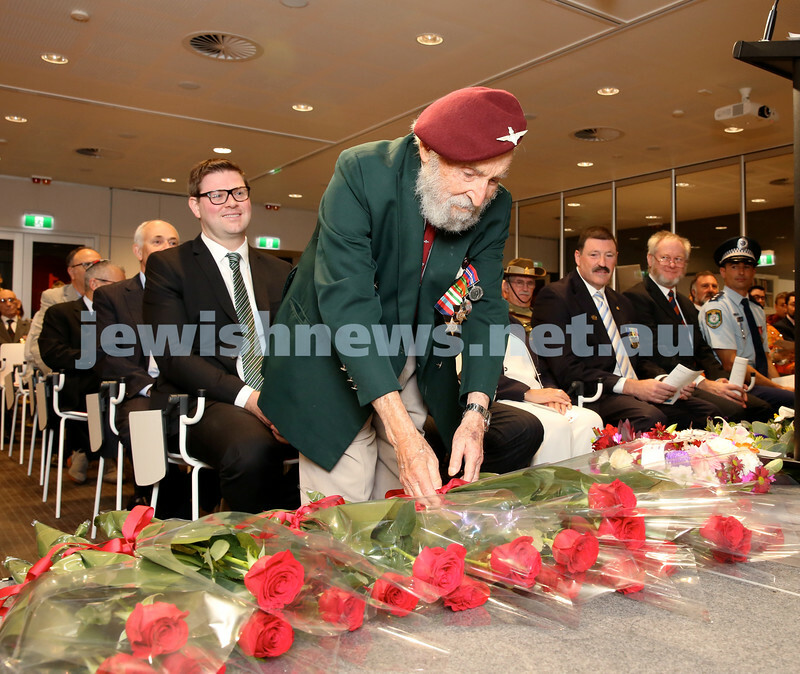 NAJEX ANZAC Day Ceremony at The SJM. 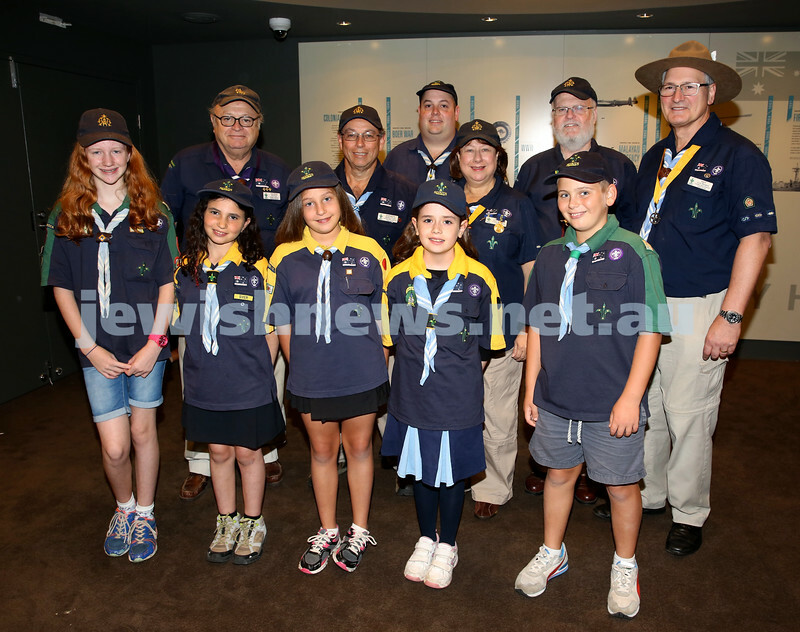 A group from Rose Bay 3rd Judean Scouts. Pic Noel Kessel. 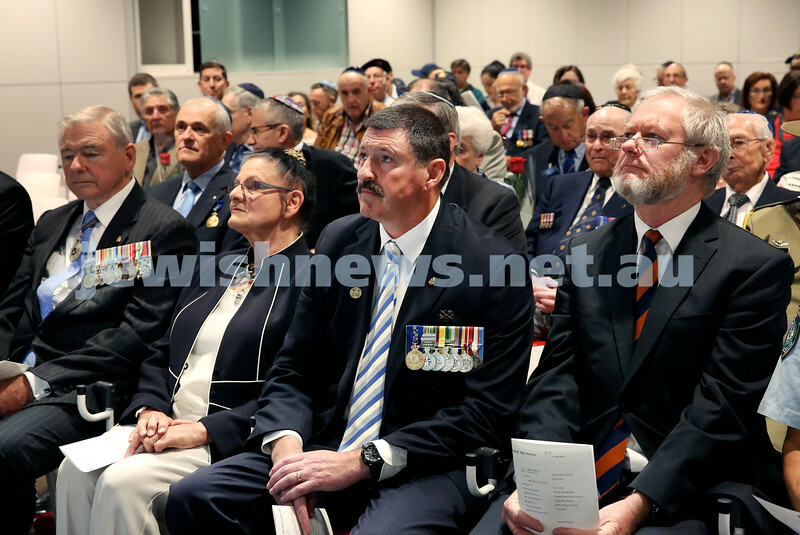 NAJEX ANZAC Day Service at SJM. 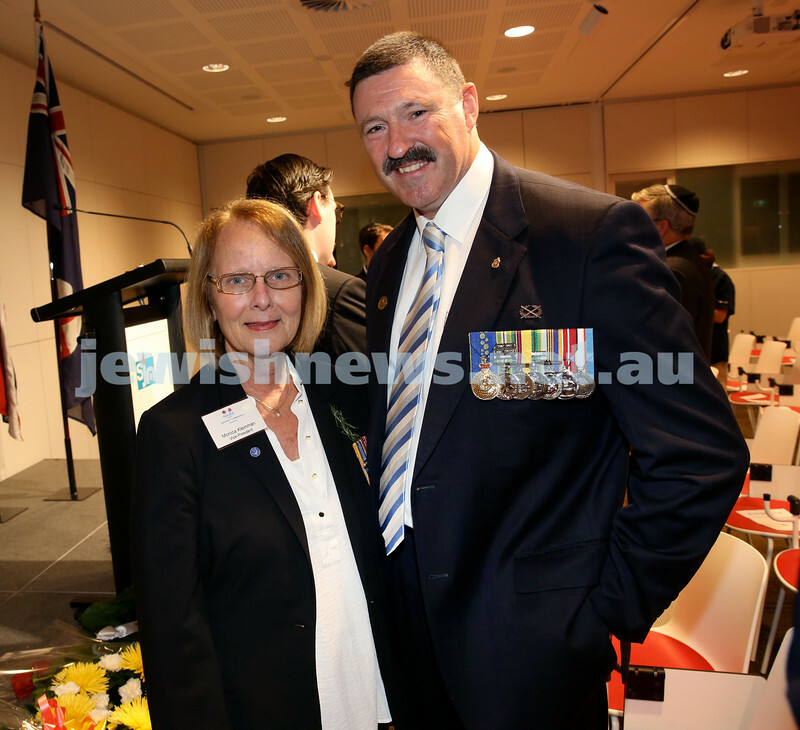 Captain Stephen Vogel and Lieutenant Colonel Darcy Rawlinson. Pic Noel Kessel. 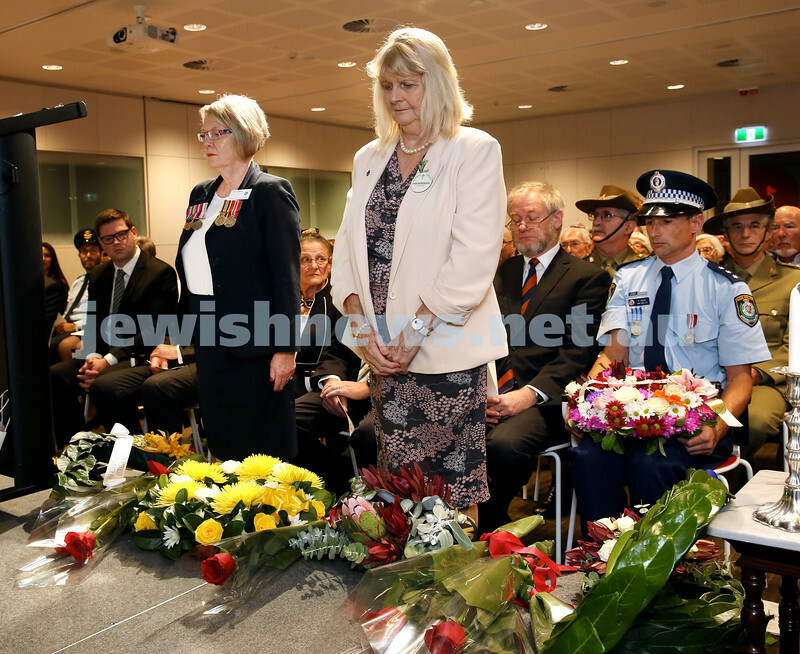 NAJEX ANZAC Day Ceremony at The SJM. Shirley & Ben Politzer. Pic Noel Kessel. 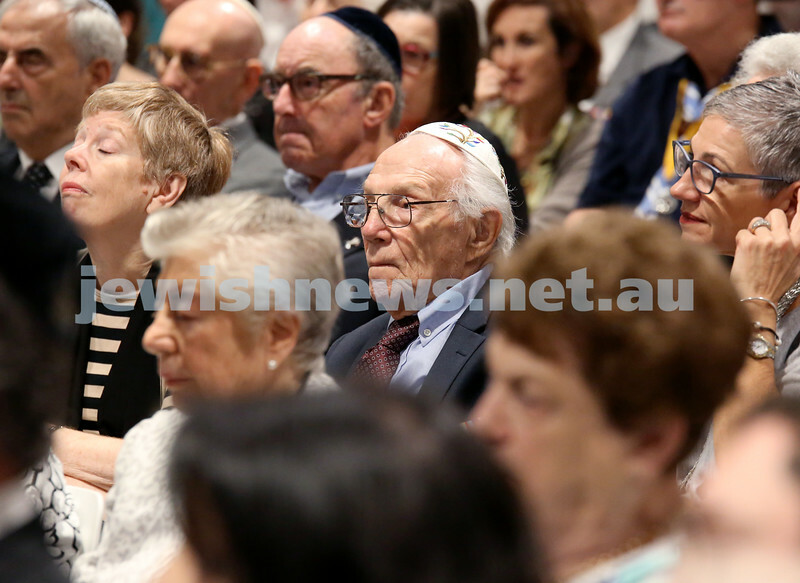 NAJEX ANZAC Day Ceremony at The SJM. Mark Braham & Zara Selby. Pic Noel Kessel. 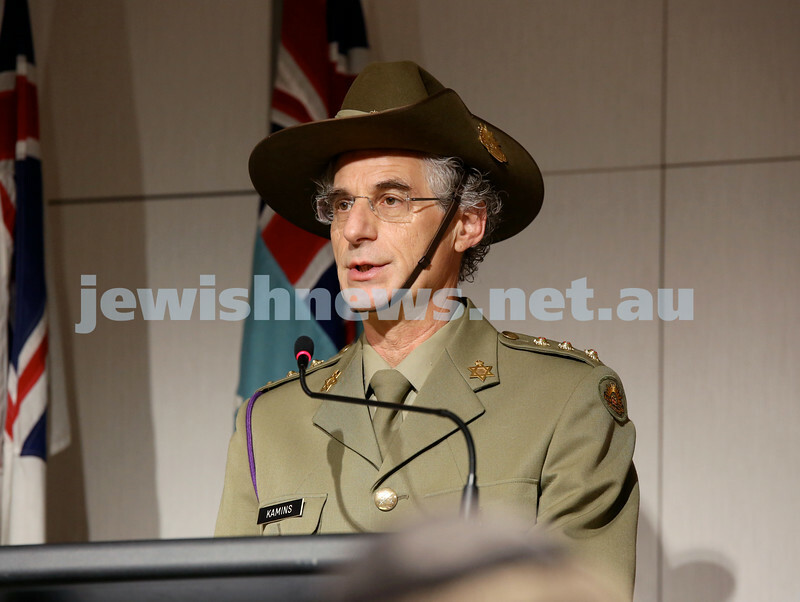 NAJEX ANZAC Day Ceremony at The SJM. Debbie Sleigh (left) & Lorraine Harvey. Pic Noel Kessel. 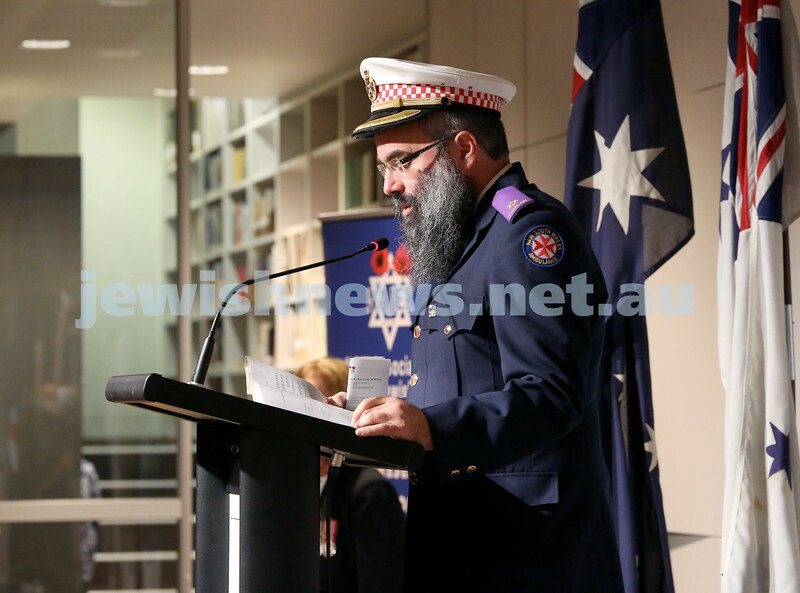 NAJEX ANZAC Day Ceremony at The SJM. 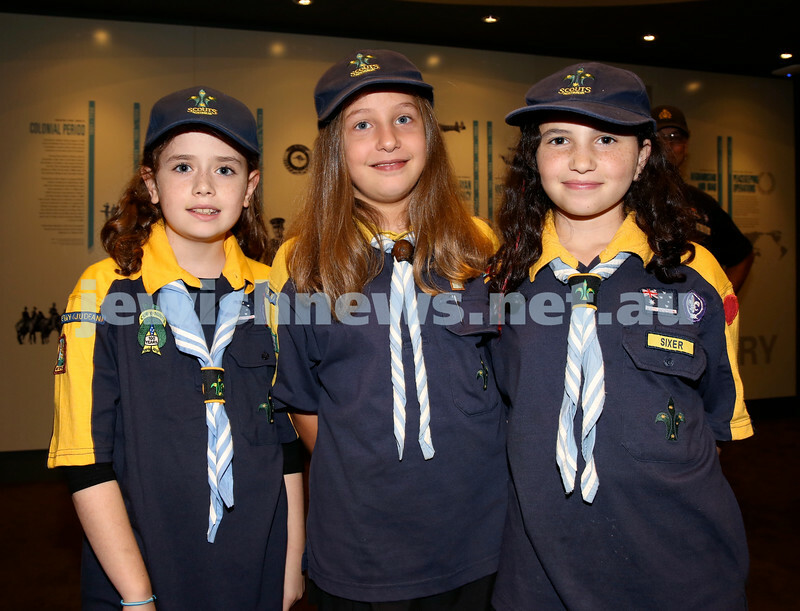 (from left) Liorah Kessel, Emily Scharrmacher, Orli Jacoby. Pic Noel Kessel. 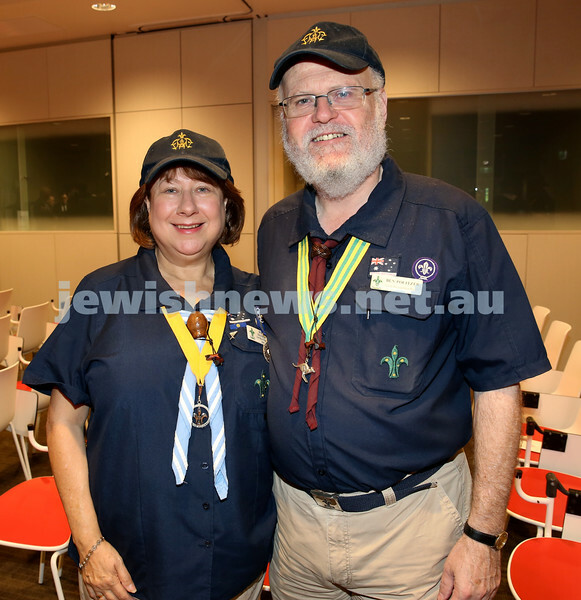 NAJEX ANZAC Day Service at SJM. 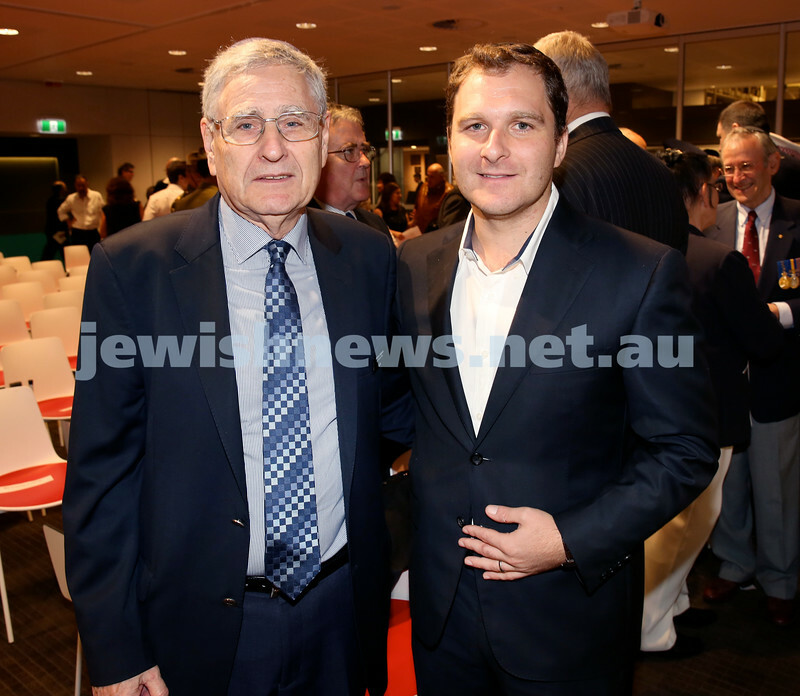 Nic Wolf (left) & Leon Waxman. Pic Noel Kessel. NAJEX ANZAC Day Service at SJM. 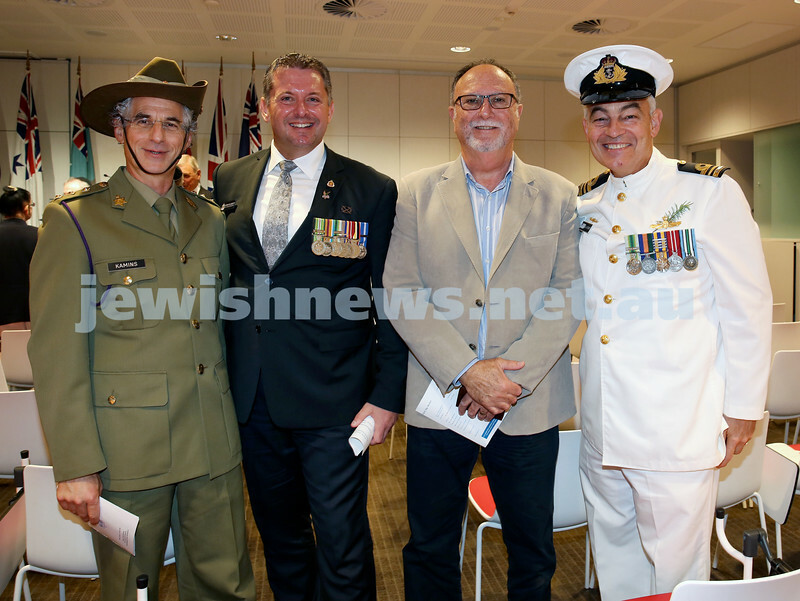 (from left) Rabbi Jeffrey Kammins, Glenn Kolomeitz, Trevor Collins, LCDR Paul Koerber. Pic Noel Kessel. NAJEX ANZAC Day Service at SJM. 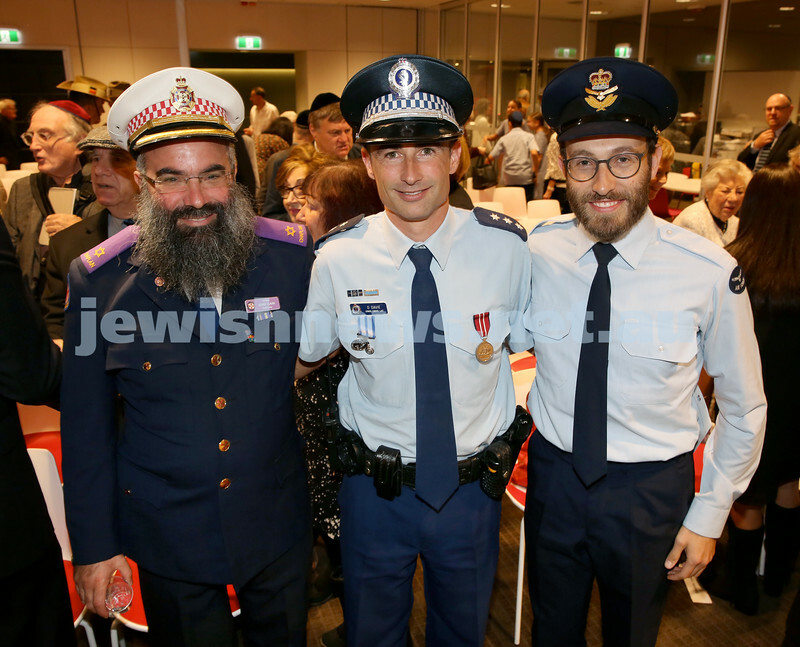 (from left) Rabbi Dovid Slavin, Police Insp. 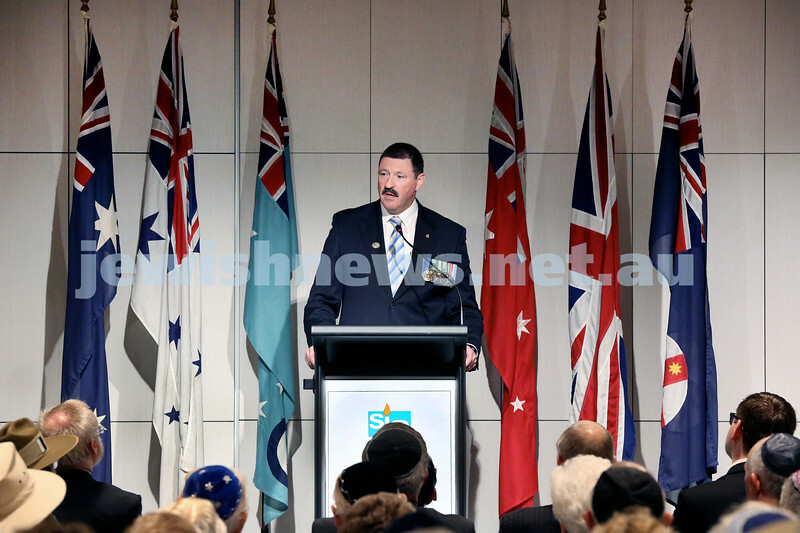 Danny Davie, Rabbi Yossi Friedman. Pic Noel Kessel. 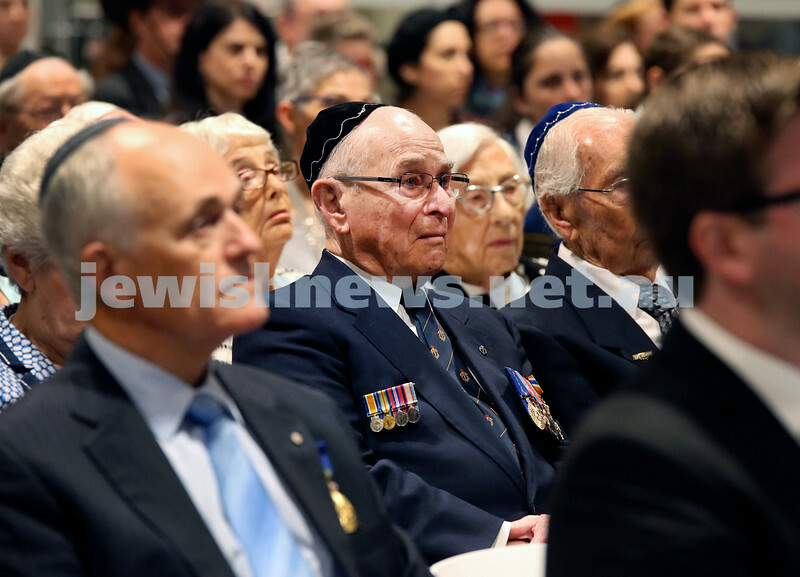 NAJEX ANZAC Day Service at SJM. 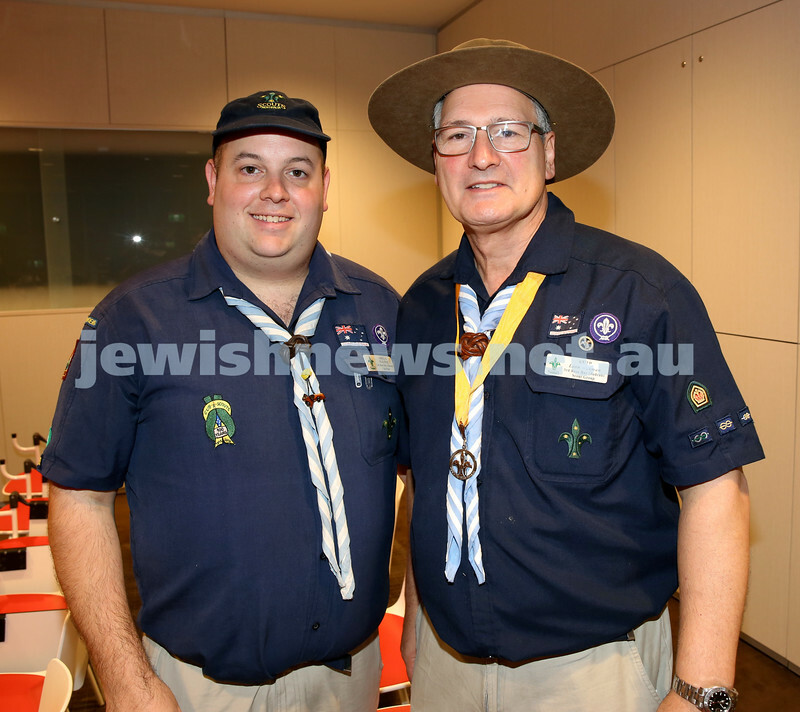 Norm Seligman (left) & Jeremy Spinak. Pic Noel Kessel. NAJEX ANZAC Day Service at SJM. 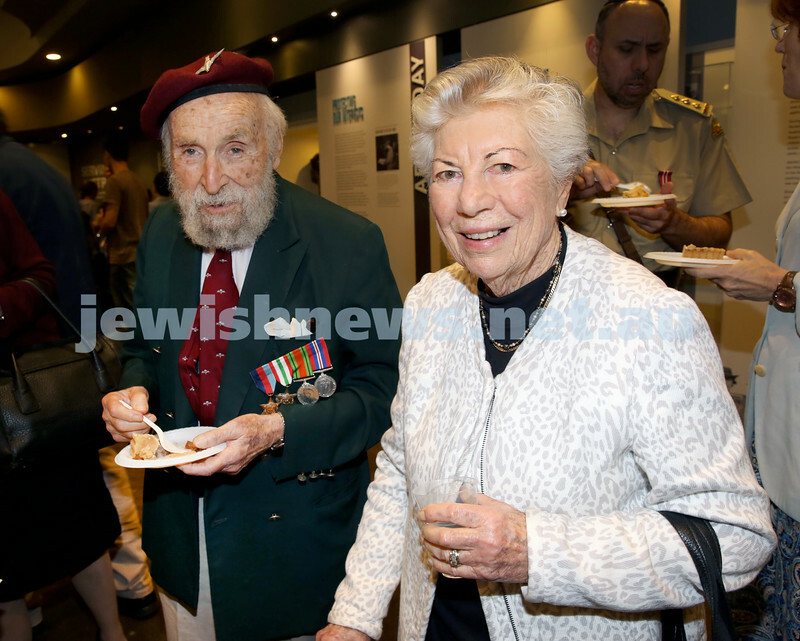 (from left) Norman Isenberg, Jack Stern, Naida Isenberg. Pic Noel Kessel. 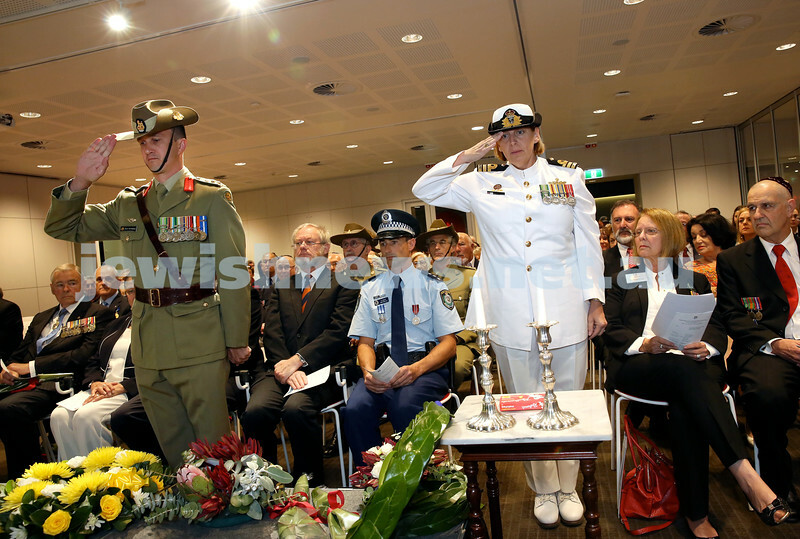 NAJEX ANZAC Day Service at SJM. Sari & Wesley Browne. Pic Noel Kessel.